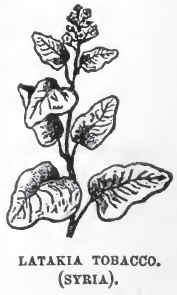 In my blog-posts Latakia Lover and Syrian Latakia I described the dark leaf that comes from Syria and why it is so rare these days. In fact, there are only two companies of which I am 100% certain that they still have it: Danish based Mac Baren and American based McClelland. Important to know is that they both use Syrian latakia that originates from the same stock! Which is the reason for this post. 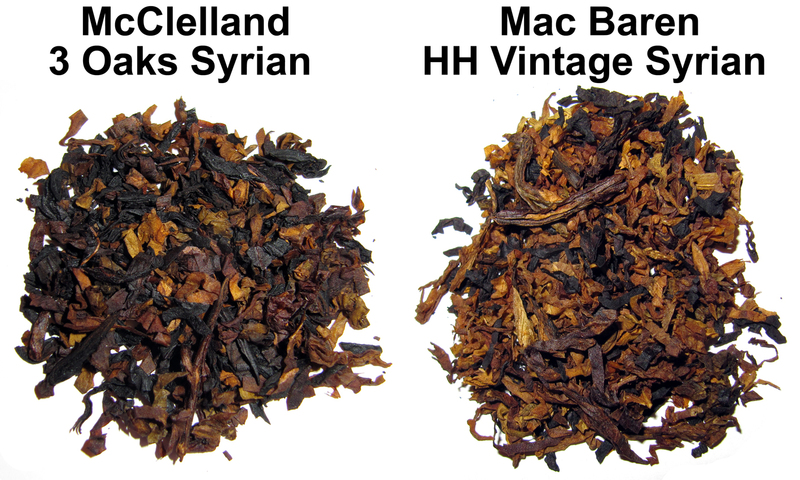 I was curious what was the better, tastier blend that contains the fire-cured shekk-el-bint: Mac Baren HH Vintage Syrian or McClelland 3 Oaks Syrian. I choose these blends because there is no other type of latakia in them. For example, McClelland Wilderness also contains Cyprian latakia. 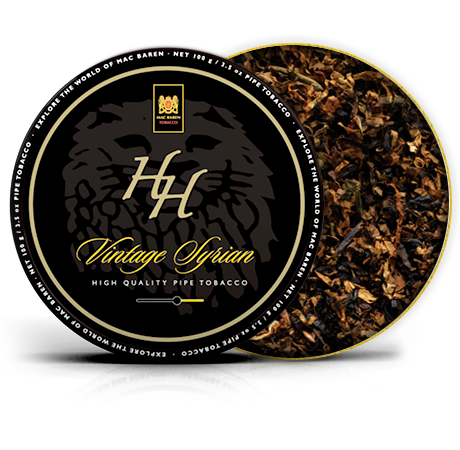 HH Vintage Syrian: The inspiration for the recipe of HH Vintage Syrian originates back to the start of Mac Baren Tobacco more than 120 years ago. This blend is typical for that time and it is easy to describe as a “back to nature” tobacco. The reason for calling this tobacco HH is quite simple. 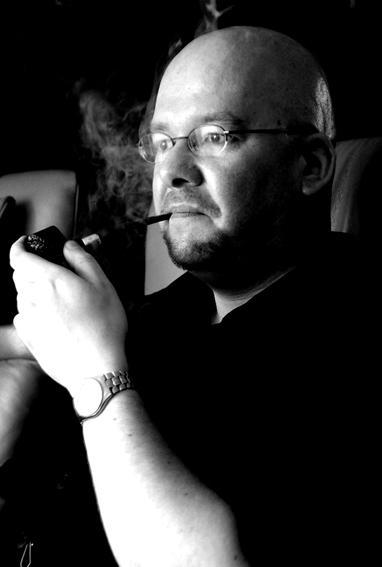 HH are the initials of the founder of Mac Baren Tobacco: Mr. Harald Halberg. If you look closely you will find the same initials in the small Mac Baren logo at the top-centre of the tin. It is incorporated into the shield held by the lions. 3 Oaks Syrian: The original 3 Oaks Syrian was composed by Ted Gage for the Bufflehead Smoke Shop in the Kansas City area. In 2005 or 2006 there were changes in the laws for mail orders which went outside the state. These ruined the thriving store and it had to close down. 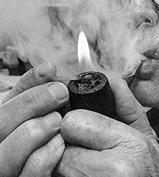 In 2009 McClelland started manufacturing the blend according to the original recipe. HH Vintage Syrian: Syrian latakia, oriental, Virginia, Kentucky. Coarse cut, so that means it can contain some chunky pieces. Surprisingly enough this blend contains (or should contain) more Syrian latakia than 3 Oaks Syrian but the looks do not show it. 3 Oaks is darker in appearance. 3 Oaks Syrian: Syrian latakia, oriental, Virginia. Ribbon cut which I also found to be a bit chunky. HH Vintage Syrian: When I opened the tin it did not smell like an average Cyprian latakia blend. Yes you can smell the smoky dark leaf but nothing overpowering. It reminds me of the current time of the year, autumn, with its fallen leaves. Imagine smelling a campfire in an October-time forest from 100 meters away that mainly consists of dry and half-dry autumn leaves. I also detect a certain sweetness that (I think) comes from the Virginias. 3 Oaks Syrian: Even more muted than the smell of HH Vintage Syrian is the tin-odour of 3 Oaks Syrian. It just whispers “subtle”. Fortunately there is almost no hint of the typical McClelland “ketchup” smell. Maybe when you have freshly opened the tin, but after some time that odour vanishes. Overall there is a certain kind of mustiness with none of the contents overpowering each other. HH Vintage Syrian: What surprised me when I first lit this blend was the overall sweetness. Hmm, I think the Virginias are cased.. However, this sweetness combines nicely with the herbal flavours of the orientals. But undeniably the star of this mixture is the Syrian latakia which unlike its Cyprian cousin has a warm, broad, smooth and subtle taste of smoky incense, sandalwood and red wine. It just says, ey, don’t worry, I am here, I will not overpower the rest of the contents, just sit back and enjoy. If you smoke very slow you can sometimes taste hints of apricot and apple-cider which I found fascinating. Halfway the bowl the sweetness goes away and the nutty Kentucky comes a bit more to the front. This stays until the end of the bowl when there is only fine grey ash left. 3 Oaks Syrian: The first time I tried this blend I only smoked pipe for half a year. I found it to be too mild and flavourless. I reluctantly finished the tin and gave away some. Some months ago I decided to pop open another tin. I let it air for several days and loaded some in my beloved Dunhill patent era Shell Briar prince. After all my taste buds had improved in the 2,5 years after I first tried the blend. With the charring light I got a symphony of flavours. 3 Oaks does not contain as much Syrian latakia as Vintage Syrian so the orientals get to shine more. Which they do halfway the bowl. I think the Virginias used are mainly the red variant because of the breadlike, yeast taste I experience throughout the smoke. At the end of the bowl the flavours get a bit more dark, like in dark chocolate. Here also a fine grey ash is left. What struck me about this blend is the subtleness and complexity. I now smoke for a bit over 3 years but I still feel my taste buds are not up to par with what this mixture has to offer. It reminded me a bit of the John Cotton’s No. 1 Mild I smoked before. There is magic happening but you have to carefully, with your full attention, search for it. HH Vintage Syrian: No problems here, even if you are not paying full attention during the smoke you do not have to re-lit often. 3 Oaks Syrian: This one is more difficult to keep lit is my experience. Like if saying, if I do not have your attention I might as well go out..
HH Vintage Syrian & 3 Oaks Syrian: My girlfriend Ellen seems to handle Syrian latakia better then the Cyprian dark leaf. She still does not like it but at least she does not force me to sit at the other end of the room in my smoking chair. When I smoke one of the blends in the late evening I notice a nice, faint incense smell the next morning. My benchmark that the used latakia was of high-quality. HH Vintage Syrian: In my first months as a pipe smoker I tried a couple of generally available Mac Baren blends and they bit me HARD. Later I learned that I was not the only one who experienced the phenomenon. So when I first lit up this blend I was fearful of the dreaded “Mac Bite”. And.. 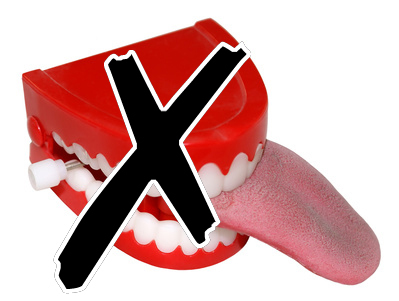 It did not happen to my relief! Ok, if you provoke it by puffing way to hard it will bite you, but that goes for a lot of blends. In the nicotine department I would rate this one light-medium to medium. 3 Oaks Syrian: This blend benefits from a bit of airing time when you have opened it. The flavours will improve then. If you like a nicotine shot while smoking, don’t go for this blend. It is just way too mild. A disadvantage of 3 Oaks was that it did not shine in many of my pipes. Only in a couple I had the impression that I got a lot out of the blend. HH Vintage Syrian on the contrary tasted good in all pipes I smoked it in. HH Vintage Syrian: At 4noggins you pay $13,43 (± €9,88) for a 100 gr. tin. In Germany such a tin will set you back at €19,75 (± $26,84). 3 Oaks Syrian: At 4noggins you pay $10,49 (± €7,72) for a 50 gr. tin. And my winner is…… *drumroll* HH Vintage Syrian! I admit I am not a Mac Baren fan. Often I called the brand Mac Blahren, masters of mediocrity, never a satisfying smoke only a burned tongue. Well… I had to swallow those words bigtime for their magnificent HH Vintage Syrian blend. Mac Baren did an amazingly good job with the creation of this almost divine mixture. A classic. That also goes for McClelland’s 3 Oaks Syrian despite it being second. Maybe in a couple of years when my taste buds have (hopefully) developed even more it can push off HH Vintage Syrian of the Syrian latakia throne. Only too bad the supply of Syrian latakia is not infinite. Until when can we enjoy these blends? No one precisely knows but I hope long enough for me to squirrel away a vast amount of tins in my tobacco closet. You should also try HH Acadian Perique which, although not containing any Latakia, is still an outstanding blend in Mac Baren’s line-up. Excellent reviews, Arno. I’ve only had a bowl or two of each of these, but I’d agree that the Mac Baren blend impresses me more and is easier to smoke. 3 Oaks Syrian is a good blend – better to me than most of McClelland’s English style blends – but there are others I like more, many of which contain Cyprian Latakia. Thank you mr. Craven! I share your opinion. Most of the McClelland English style blends lack a bit of punch for me. Thanks for this side-by-side review, well done. I’m a huge fan of Three Oaks Syrian but ordered some HH Vintage Syrian after reading this. Haven’t smoked it yet, but in the tin, the Kentucky component is very noticeable, so it surprised me that you liked it as much as you did. Does seem to make for a “rounder” blend though, or at least one with more punch (taste and Vit N?). Can’t wait to light up a bowl. Hello Art, thanks for reading! Actually, I am smoking HH Vintage Syrian right now. It indeed (in my opinion) packs more of a punch taste-wise (3 Oaks Syrian is soooo subtle..) and in the nicotine department. Although the vitamin N is still very manageable. I am not a real fan of Kentucky but in this blend it seems to work miraculously well. I am sometimes under the impression that “European” Kentucky is different than the American one, milder. 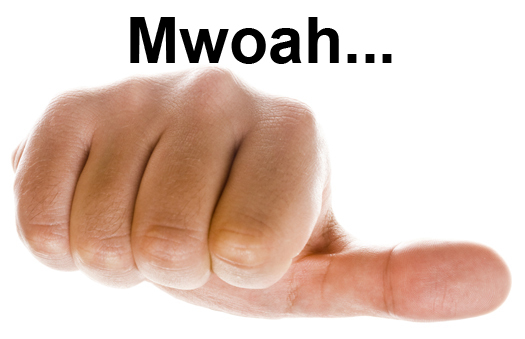 If I only smoke a bit of GL Pease Jackknife Plug the nicotine hits me like a mule.. Interesting. “Kentucky” is fire-cured burley, correct? 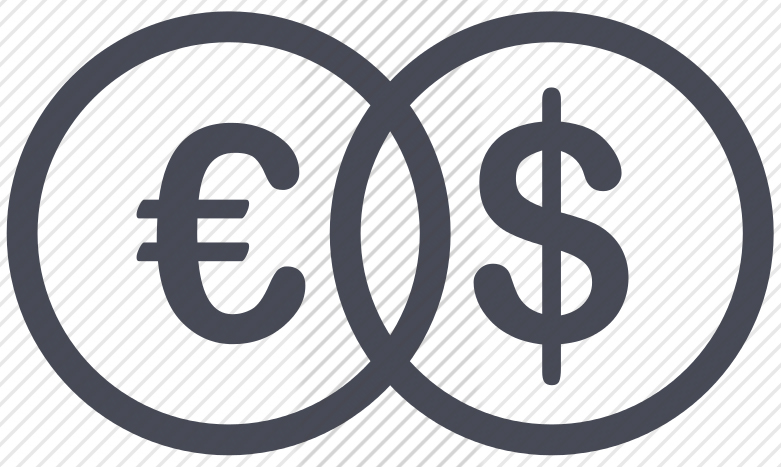 Do Europe and U.S. blenders tend to source it from different places? Seems plausible, given varying trade agreements, how much we grow over here, etc. I haven’t tried Pease’s JNP, but I have a tin of the Triple Play plug. I stick my nose in the tin frequently, but only smoke it as a special treat, when I’m feeling particularly manly, ha ha! Yup, Kentucky is fire-cured burley. I know that DTM sources their Burley from Mozambique and Malawi and Kentucky from India. Where the Burley/Kentucky from for example Cornell & Diehl comes from, noooo idea. I have never tried Triple Play, but it is Jack Knife Plug with perique right? If so, I don’t need to try it.. I think that after half a bowl my world will have gone upside down..
Ok, let me know. I can’t imagine you dislike it. But then again, tastes differ..
Just finished my first bowl! I do like it. The VAs and Orientals in 3OS are quieter and very much in the background. In the HH, they seem to be of a different variety and dancing all over the place (it’s a very fresh tin, which might be a factor). At several points, I felt like I was smoking Syrian and a (quality) cigarette at the same time. With 3OS, the Lat never seems to go out of focus. Interesting, given that HH contains more of the stuff. Definitely more nicotine to the HH, but not overpowering. Best way I can sum it up at the moment is that if 3OS were a string quartet, HH Vintage would be a full orchestra. (Or not quite full…no perique. :)) Apples to oranges, both very good. Yup, HH is more in your face. But since I love bold blends (hello Abingdon) it is not strange my pick was HH. I think your summary is spot-on, you have to really pay attention to “hear” 3OS while HH says, ey, I’m here! Funny you mention Abingdon. Side by side, it and HH have some similar aromas. I think if you sprinkled some of MacBaren’s new version of Three Nuns into Abingdon, it would smell almost exactly like HH! Very illustrative post Arno, I have ordered some HH Vintage Syrian to give it a try. I was a Balkan Sobranie lover, and since it is gone, I´m looking for a substitute. At the moment I consolate myself with Skiff plus a 10% MacConnell pure Latakia. Thank you for reading Juan! Finding a Balkan Sobranie substitute is very difficult.. There are so many blends out there making that claim more or less but none of them precisely hit the nail.. Skiff with 10% added latakia sounds good! Skiff is oriental-rich but (like you) I always felt it needed a little bit of “oomph”. The fine orientals in Skiff begin to sing almost a solo about the middle of the bowl. The extra Syrian Latakia adds a lovely counterpoint to the orientals. My HH Vintage Syrian arrived home, but I´ll wait to finish my current Skiff tin to try it. With my HHVS arrived some Cyprus Latakia. I added a bit to Skiff and.. Wow. The more rustic character of Cyprus Latakia performs miracles. Sounds good! Enjoy your smoke! Zeer goeie beschrijving! Ga beiden gauw kopen. Dank je en zeker doen! great site. dunno if you still read this thread, but i would like to ask a question: at some point you say that 3OS did not smoke well but in a few only pipes. Any particular shape it smoked better in? Hello, it smoked better in a pipe with a wide but shallow bowl. For instance a prince or pot. thanks for your reply, pal!